In the 1950s about twenty-five million people went on holiday in England every year as life started to return to normal after the war. Most people went by train but we were lucky because granddad had a car, an Austin 10 four-door saloon, shiny black with bug eye lights, a heavy starting handle, pop out orange indicators and an interior that had the delicious smell of worn out leather upholstery and this meant that we could travel in comfort and style. Although there were not nearly so many cars on the road in the 1950s this didn’t mean that getting to the seaside was any easier. 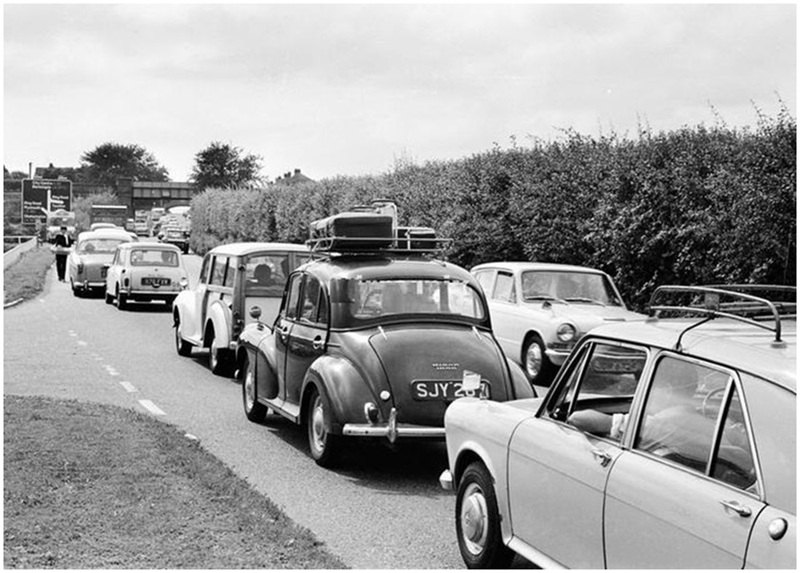 There were no motorways or bypasses and a journey from Leicester to the north Norfolk coast involved driving through every town and bottleneck on the way which meant sitting around in traffic jams for hours and worrying about the engine overheating or the clutch burning out. Just getting to the coast could take the whole day and usually involved stopping off along the route at some point for a rest and a picnic. Granddad would find a quiet road to turn off into and then when there was a convenient grass verge or farm gate he would pull up and the adults would spread a blanket on the ground and we would all sit down and eat sandwiches and battenburg cake and they would drink stewed tea from a thermos flask and I would have a bottle of orange juice. One of the favourite places to go on holiday at that time was Mundesley which is about ten miles south of Cromer where there were good sandy beaches and lots of caravans. I last stayed in a caravan in about 1970 and I have vowed never ever to do it again. I just do not understand caravanning at all or why people subject themselves to the misery of a holiday in a tin box with no running water, chemical toilets and fold away beds, there was no fun in it whatsoever. In 2000 the National Statistics Office estimated that British families took 4,240,000 towed caravan holidays a year year; how sad is that? To be fair I suppose it was good fun when I was a five-year-old child but I certainly wouldn’t choose to do it now when I am ten times older. Caravans simply had no temperature control, they were hot and stuffy if the sun shone (so that wasn’t too much of a problem, obviously) and they were cold and miserable when it rained, which I seem to remember was most of the time. Bad weather didn’t stop us going to the beach however and even if it was blowing a howling gale or there was some drizzle in the air we would be off to enjoy the sea. If the weather was really bad we would put up a windbreak and huddle together inside it to try and keep warm. Most of the time it was necessary to keep a woolly jumper on and in extreme cases a hat as well and Wellington boots were quite normal. As soon as the temperature reached about five degrees centigrade or just slightly below we would be stripped off and sent for a dip in the wickedly cold North Sea in a sort of endurance test that I believe is even considered too tough to be included as part of Royal Marine Commando basic training. After the paddle in the sea we would cover ourselves up in a towel and making sure we didn’t reveal our private parts struggled to remove the sopping wet bathing costume and get back to our more sensible woolly jumpers. 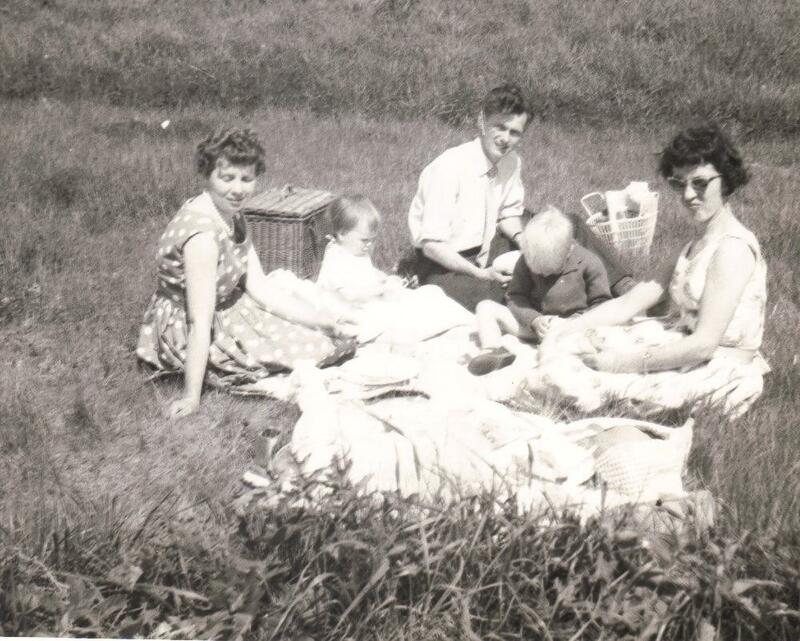 Then we would have a picnic consisting of cheese and sand sandwiches and more stewed tea from a thermos flask. If the sun did ever come out we used to get really badly burnt because when I was a boy sunscreen was for softies and we would regularly compete to see how much damage we could do to our bodies by turning them a vivid scarlet and then waiting for the moment that we would start to shed the damaged skin off. After a day or two completely unprotected on the beach it was a challenge to see just how big a patch of barbequed epidermis could be removed from the shoulders in one piece and the competition between us children was to remove a complete layer of skin in one massive peel, a bit like stripping wallpaper, which would leave you looking like the victim of a nuclear accident. We didn’t always go to Norfolk and we didn’t always stay in caravans. 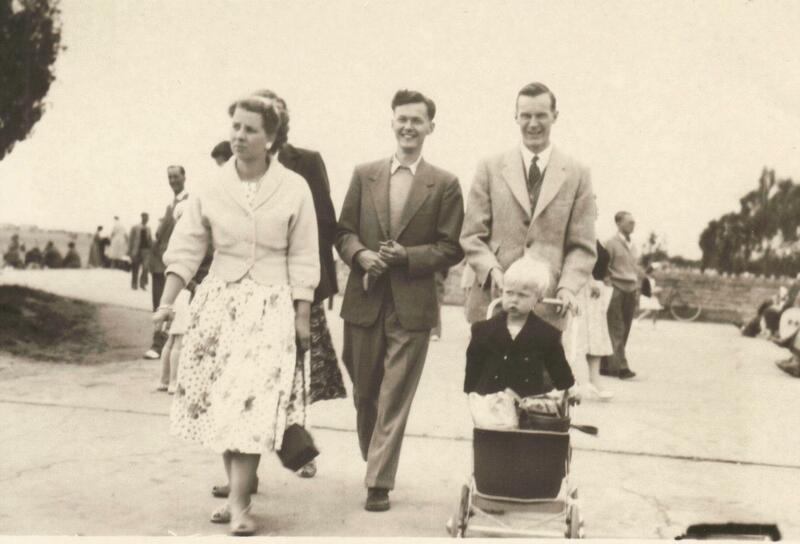 If we went on holiday with mum’s parents who lived in London we would get a train to Herne Bay or Margate in north Kent and stay at a holiday camp in a chalet which was just about one step up from a caravan. 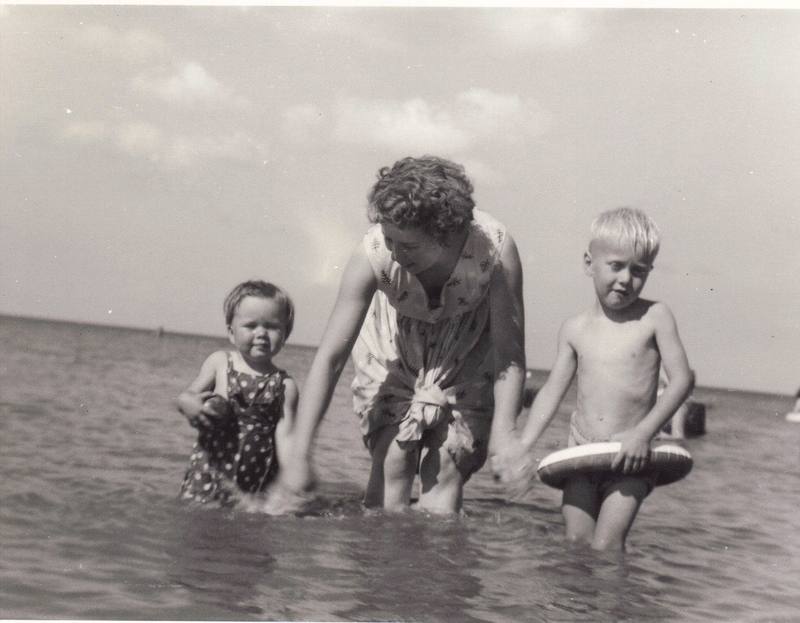 Beach holidays in the fifties and sixties were gloriously simple. 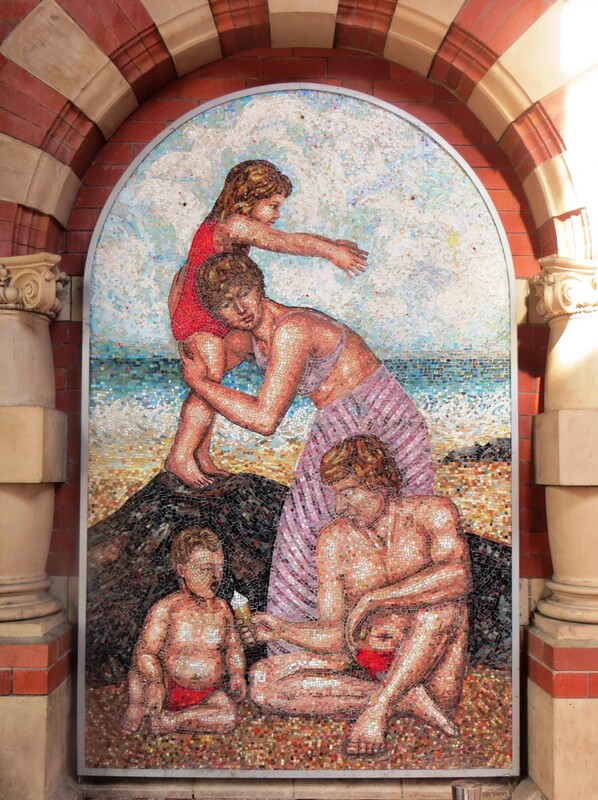 The whole family would spend hours playing beach cricket on the hard sand, investigating rock pools and collecting crabs and small fish in little nets and keeping them for the day in little gaily coloured metal buckets before returning them to the sea at the end of the day. 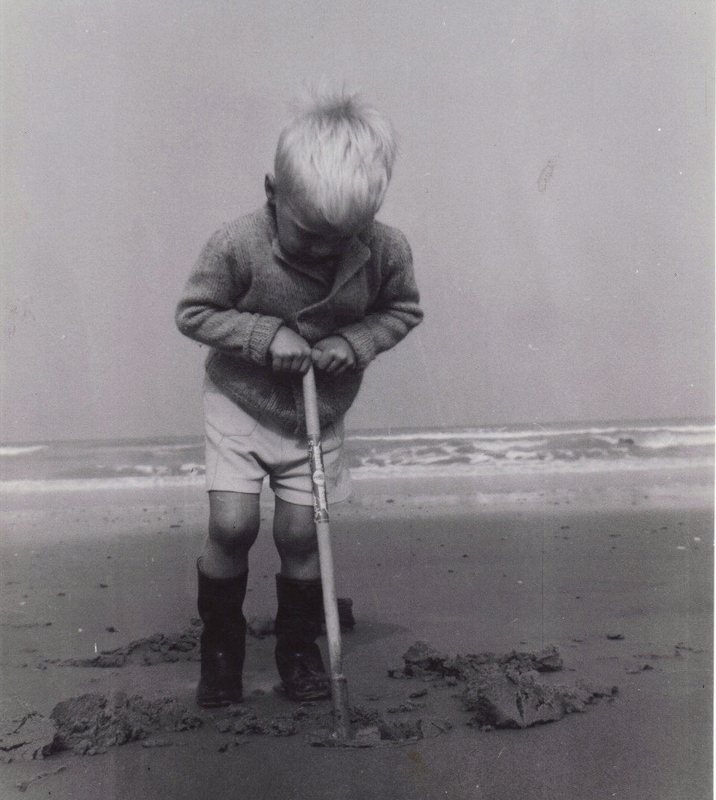 There were proper metal spades as well with wooden handles that were much better for digging holes and making sand castles than the plastic substitutes that replaced them a few years later. Inflatable beach balls and rubber rings, plastic windmills on sticks and kites that were no more than a piece of cloth (later plastic), two sticks and a length of string that took abnormal amounts of patience to get into the air and then the aeronautical skills of the Wright brothers to keep them up there for any decent length of time. 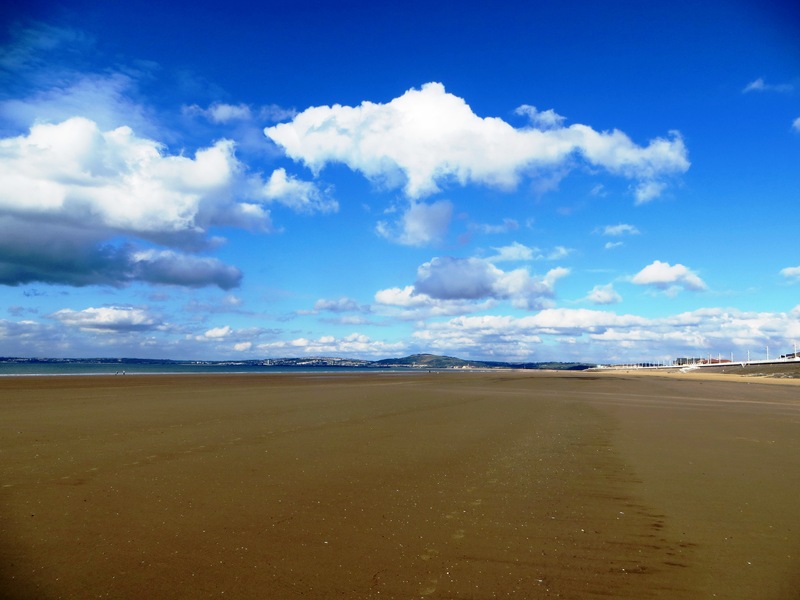 I remember beach shops before they were replaced by amusement arcades with loads of cheap junk and beach games, cricket sets, lilos, buckets and spades, rubber balls and saucy seaside postcards. I can remember dad and his friend Stan looking through them and laughing and as I got older and more aware trying to appear disinterested but sneaking a look for myself when I thought no one was watching. I knew they were rude but I didn’t really know why. For a treat there was fish and chips a couple of nights a week but this was in the days before McDonalds and Kentucky Fried Chicken so most of the catering and the eating was done in the caravan or the chalet or if we were really unlucky in the dining room of the holiday camp. 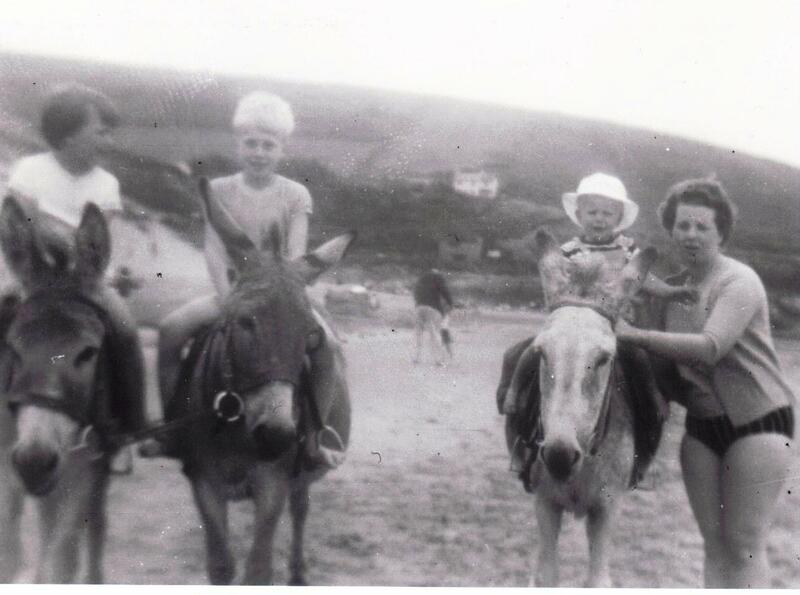 Later, after dad learned to drive, we used to go to Cornwall and Devon and North Wales, to the Nalgo holiday camp at Croyde Bay and the Hoseasons holiday village at Borth, near Aberystwyth. The last time I went on the family holiday like that was in 1971 to Llandudno and by my own confession I was a complete pain in the arse to everybody and I don’t remember being invited ever again. In 1975 I went to Sorrento in Italy with dad for my first overseas holiday and nothing has ever persuaded me to go back to British holidays in preference to travelling in Europe. Since then I have spent my summer holidays on Mediterranean beaches where the sun is guaranteed and the beer, rather than the weather is always cold. On the way home (the motorway route, I wasn’t going back along the Fosse way, for sure) we stopped off near Tredegar to visit a site that without my local travel guide pal I would never have heard of or even thought of visiting. 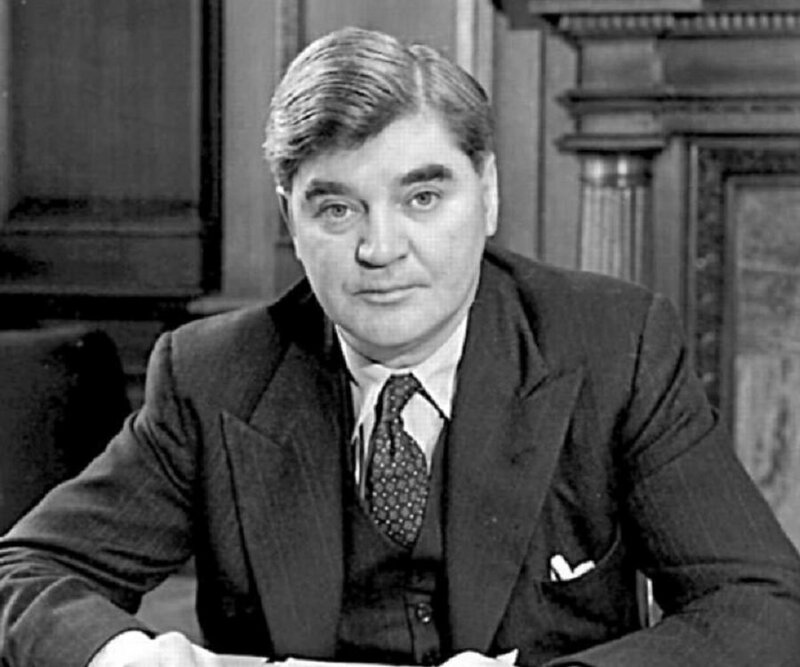 The Aneurin Bevan Stones – Aneurin Bevan, the architect of the UK National Health Service. The memorial stands at Bryn Serth, just off the Heads of The Valley Road at a site used by the famous politician for open air public meetings. Symbolically, the central monolith represents Bevan himself, whilst three satellite stones represent his constituency towns of Ebbw Vale, Tredegar and Rhymney. In a BBC poll of 2002 ‘The Greatest Britons’, Bevan came forty-fifth out of a hundred and personally I think he deserved to come a bit higher than that, but let’s be honest how can you trust a poll of the people when Princess Diana came third ahead of Isaac Newton, William Shakespeare and Horatio Nelson. She had no chance of beating Winston Churchill of course, but she is probably spinning in her grave at not pipping Isambard Kingdom Brunel (who had French parents) to come second. It is an odd list, even Tony Blair gets in the top one hundred. Tony Blair? What the? When it comes to Wales, Richard Burton is ninety-sixth, Lawrence of Arabia is fifty-second, David Lloyd-George only makes seventy-ninth but Owain Glyndŵr is as high up as twenty-third. 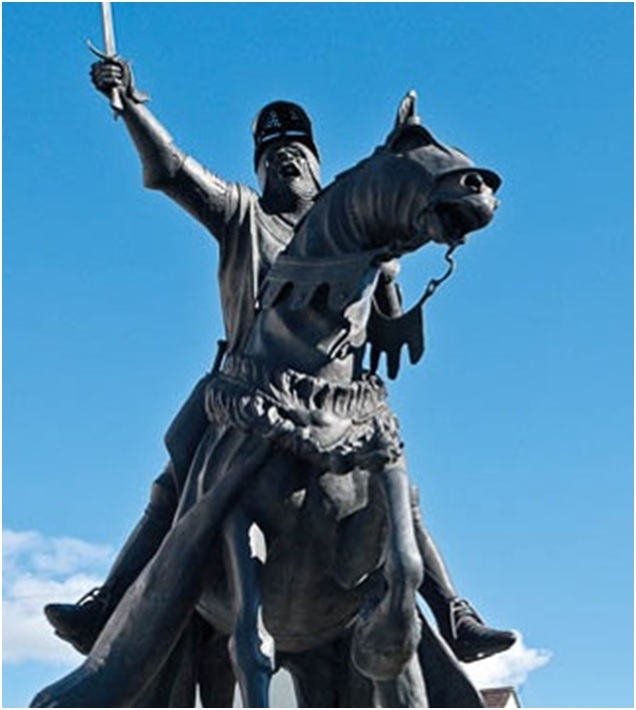 Owain Glyndŵr has been dead for seven hundred years and is surely irrelevant now – who on earth, I wonder voted for Owain Glyndŵr ahead of David Lloyd George and Aneurin Bevan? Bear in mind that this was a nationwide vote and 99% or so of the population of the UK have never heard of Owain Glyndŵr. Possibly some vote rigging going on there do you think? 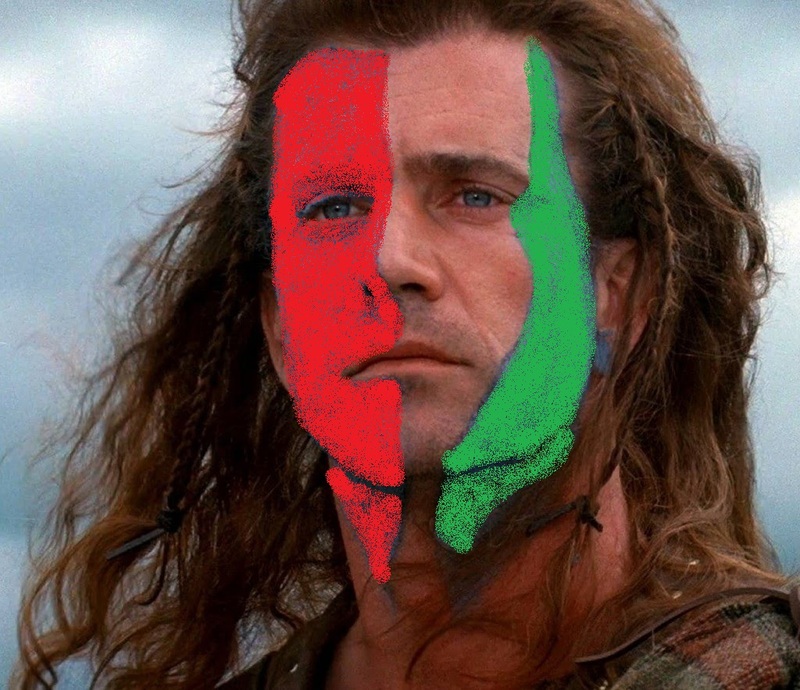 Owain Glyndŵr even came ahead of William Wallace and he had a film made about him starring Mel Gibson. Rob Roy MacGregor didn’t get in and he had a film made about him starring Liam Neeson. Which makes me think, if there was a film who could play Owain Glyndŵr? Probably Mel Gibson, he seems to hate the English enough to take on the role! To set the record straight however 100 Welsh Heroes was an opinion poll run in Wales as a response to the BBC’s 100 Greatest Britons poll and quite rightly Aneurin Bevan came top. Owain Glyndŵr came second despite an accusation from Neil Kinnock (fifty-eighth) that Welsh Nationalists were multiple voting to try and manipulate the result. Tom Jones came third, two places ahead of Richard Burton. T.E.Lawrence came 52nd. I don’t think we should take these polls too seriously – Catherine Zeta-Jones came thirteenth! Anyway, back to the BBC poll where there were even more anomalies. There were eleven Kings and Queens and eleven politicians, ten military heroes, eight inventors and seven scientists. This is what I would expect but then there were eight pop musicians including Boy George! Now, surely there must be dozens of people who could be more appropriately included on the list than that. Even if you do accept that pop stars are great Britons what is even more unbelievable is that Boy George beat Sir Cliff Richard by seven places! John, Paul and George were included in the eight but there was no place for Ringo, which doesn’t seem very fair. Enoch Powell was one of the politicians and he was a raging racist. Richard III is in but not Henry VII. There is an issue of equality because of the one hundred only thirteen were women and I can’t help feeling that there must be more than that. Here are some suggestions of mine; the prison reformer, Elizabeth Fry, the philanthroprist Octavia Hill, the Suffragist, Millicent Fawcett, the pioneering aviator, Amy Johnson, the nineteenth century gardener, Gertrude Jeckyl and the very embodiment of Britishness, Britannia herself. At this time lots of other countries ran similar polls, some of the results were equally predictable, South Africa voted for Nelson Mandella, Spain for King Juan Carlos, Greece choose Alexander the Great and, ignoring politics, Italy went for Leonardo Da Vinci. Some results were less obvious, in France there was surely someone more famous than Charles de Gaulle (Louis XIV perhaps) and Germany overlooked Otto Von Bismarck and Martin Luther and choose Konrad Adenaur. My favourite is Canada, where, despite being the second largest country in the World, there are so few famous people to choose from that the long list was restricted to fifty and the top ten included three Scots, the public voted for a man called Tommy Douglas! In Australia the newspaper ‘The Australian’ selected Andrew ‘Banjo’ Patterson who pushed the World’s greatest ever cricketer, Don Bradman, into second place. It had been a good few days in South Wales, before we went I thought I knew something about it but as I drove home I realised that if my pal has a bucketful of knowledge mine would barely cover the bottom of a thimble. 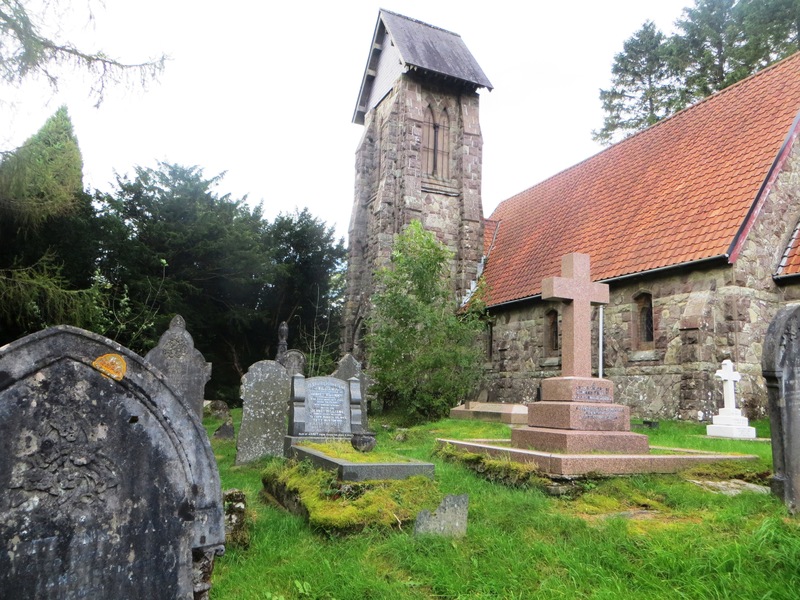 Eventually we reached the elevated village of Llanwonno and my fears were realised – it was indeed another church yard that we were about to visit. Who was buried here I wondered, who was so famous that it was worth making this driving detour up the side of a mountain? As we walked from the car park to the church my friend told me the story of Guto Nyth Brân who, legend has it, was the fastest running man ever in the World. Local folklore said he could run quickly enough to catch hares and foxes and birds in flight. If his mother ran out of milk for a cup of tea he could run to the local shop there and back, five miles away, before the kettle boiled. I assume of course that he must have had the right change on him at the till with no fiddling about in his pockets or his purse for that elusive penny! As stories of his running speed spread through the Valleys he was regularly challenged to competitive races on which substantial bets were placed. His first race, organised by his girlfriend and business partner, Sian the Shop (not to be mistaken with Sean the Sheep) saw him take on a previously unbeaten English runner. He won the race easily as well as £400 prize money. A huge amount of money in those days, equivalent to roughly £50,000 today ! He continued to race and accumulate a fortune until he was thirty. He was so famous that had there been television in the eighteenth century then he would surely have won BBC Sports Personality of the Year and the USA Sports Illustrated Sportsperson of the Year Award. After a while he retired (he could afford it) but when he was thirty-seven Sian the Shop persuaded him as a matter of pride and principle to come out of retirement and take on a new runner called the Prince of Bedwas who was boasting that he was unbeatable. This was for a prize of one thousand guineas (a hundred and fifty thousand pounds) and on account of the huge prize money on offer it was to be an appropriately gruelling twelve-mile race between Newport and Bedwas near to the town of Caerphilly and for most of the way a steady climb from sea level to seventy metres or so with an especially challenging final hill. Guto won easily of course, completing the course in fifty-three minutes. To put that into some sort of perspective the current official IAAF world record for a half marathon (roughly the same distance) is fifty-eight minutes and twenty-three seconds set by Zersenay Tadese of Eritrea in March 2010 at the Lisbon half marathon in Portugal. 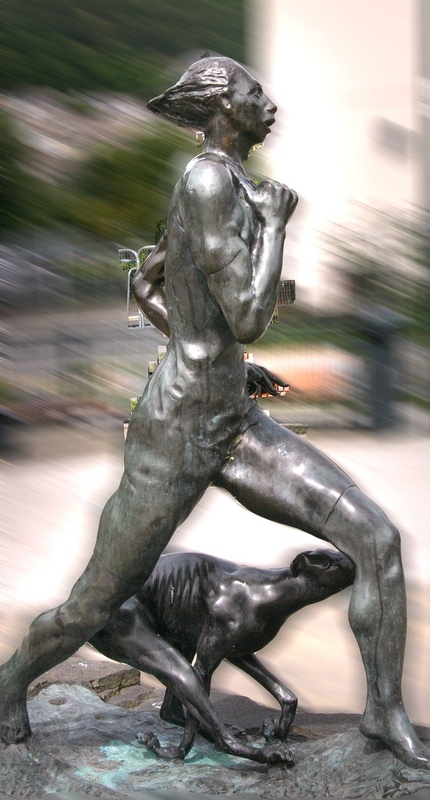 I realise that the timing of races might now be considerably more precise than it was three hundred years ago but today athletes have Nike running shoes and fitness management support staff and five minutes is a lot to explain away even by time-keeping inaccuracies of such great margins. Sadly the story ended in tragedy after Sian slapped him on the back so hard in celebration Guto suffered a heart attack and collapsed and died. Some girlfriend hey! Every year there is now a road race in nearby Mountain Ash to commemorate the life and achievement of Guto Nyth Brân. 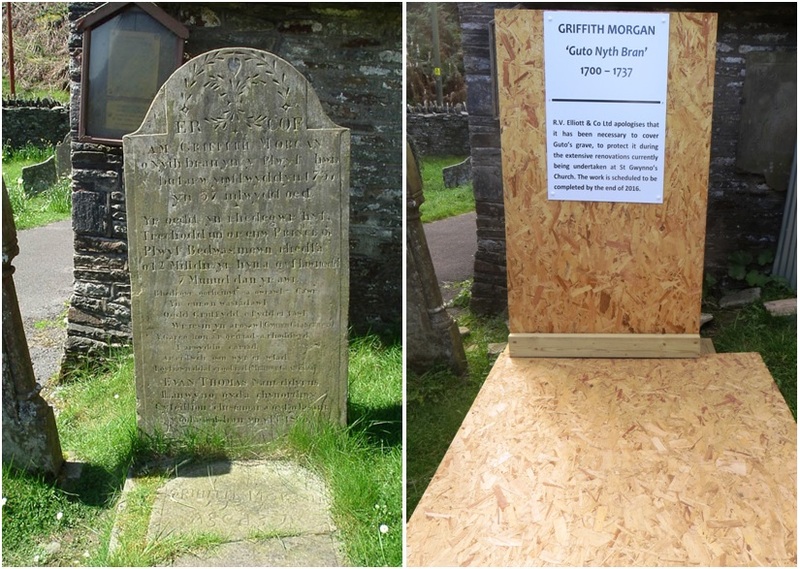 There was disappointment for us too this afternoon because the Church was having its roof replaced and to protect the gravestone from potential damage from falling masonry it was fully encased in a plywood box to protect it and on it was pinned a short note apologising for the inconvenience. You would have thought that they could at the very least have put up some sort of replica or included a picture! I couldn’t help but laugh and my travelling companion saw the funny side of it as well. He likes gravestones and monuments and plaques and struggles to understand why I don’t share his enthusiasm for them. I explained that as a history student I like stories and facts but I don’t really get any sort of adrenalin rush from seeing where famous people were born or are buried. 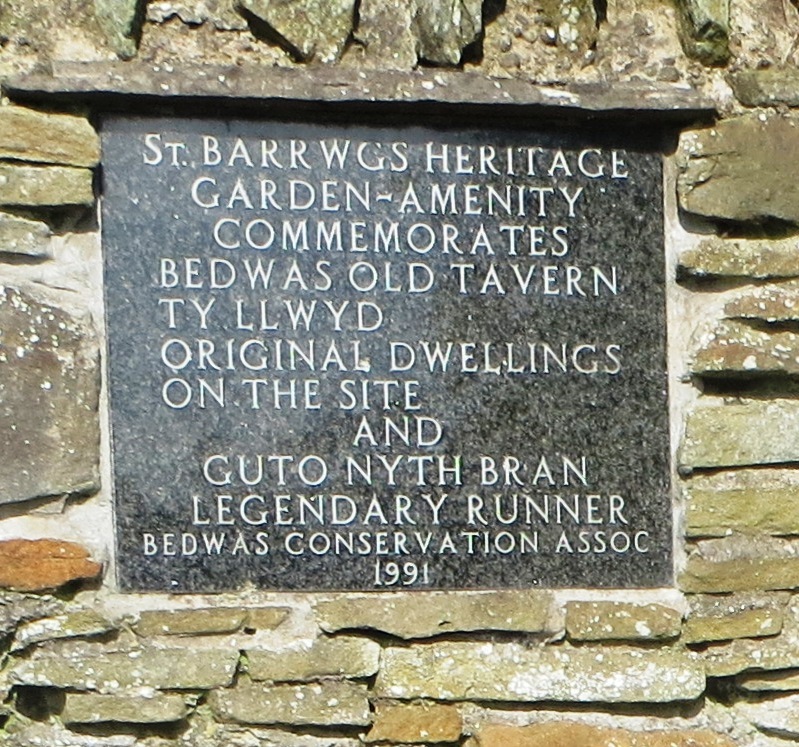 The following day we drove to the town of Caerphilly where he had learned about a memorial plaque that had been erected in another churchyard to commemorate Guto Nyth Brân and the finishing point of his famous last race so we set out to find it. Leaving Vaynor my pal had another interesting story for me about a Welsh industrialist, a man called John Hughes who actually was a Welshman rather than an English industrialist, born in Merthyr Tydfil, Wales, where his father was head engineer at the Crawshay’s Cyfarthfa Ironworks. He was so successful that by the 1840s he had made his reputation and his fortune by patenting a number of inventions in armaments and armour plating. By the age of twenty-eight he owned a shipyard and eight years later a foundry in nearby Newport. 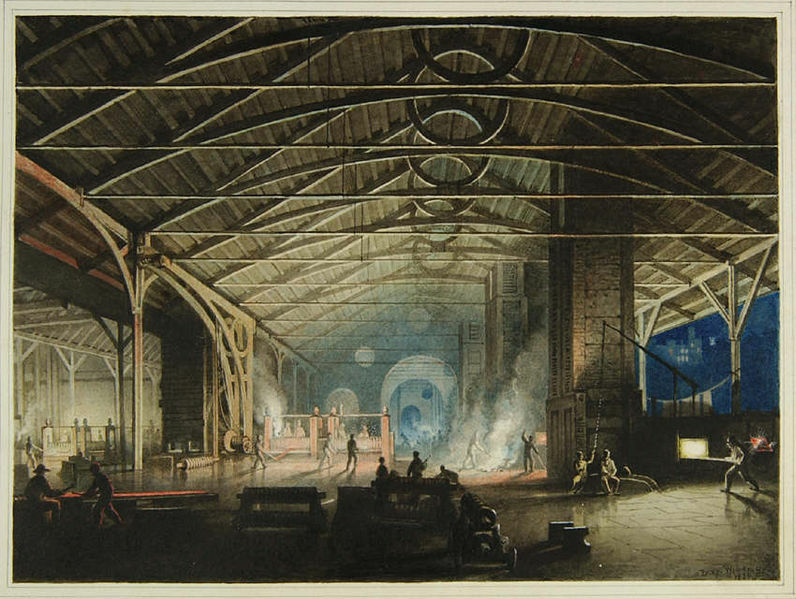 During the 1850s he won worldwide recognition for the iron cladding of wooden warships for the British Admiralty. Now we are coming to the best part of the story – In 1868 Hughes received a commission from the Imperial Russian Government of Alexander II for the plating of a Russian naval fortress and a concession to develop a metal works industry in the Country. No mean feat I imagine, there must have been a lot of competition from nearby Prussia with Otto Von Bismarck’s industrialisation policy of Blut und Eissen. Hughes formed the New Russia Company Ltd. and in the summer of 1870, at the age of fifty-five, he moved with his family to live in Russia. He sailed with eight ships, with not only all the equipment necessary to establish a metal works but also much of the skilled labour, a group of about a hundred hand-picked specialist iron workers and miners from South Wales. He quickly identified a suitable site for development in the Ukraine and started to build a modern metal works that had eight blast furnaces – a huge financial investment for that time. 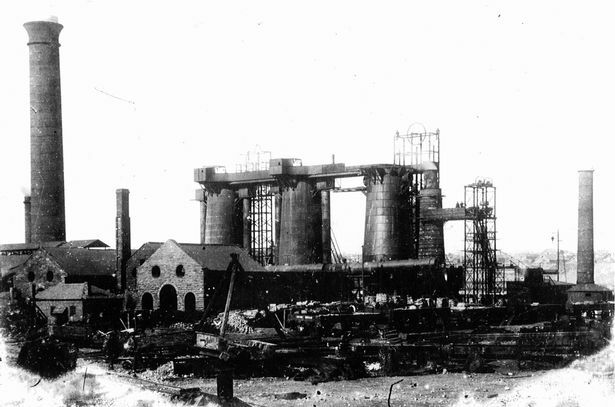 During the 1870s collieries were constructed, iron ore mines were sunk and brick-works and other facilities including a railway infrastructure were established to make the works a self-sufficient industrial development. The factory complex gave its name to a new town – Yuzovska or in English (Welsh if you prefer) Hughesovka and Hughes personally provided a hospital, schools, bath houses, tea rooms, a fire brigade and an Anglican church. 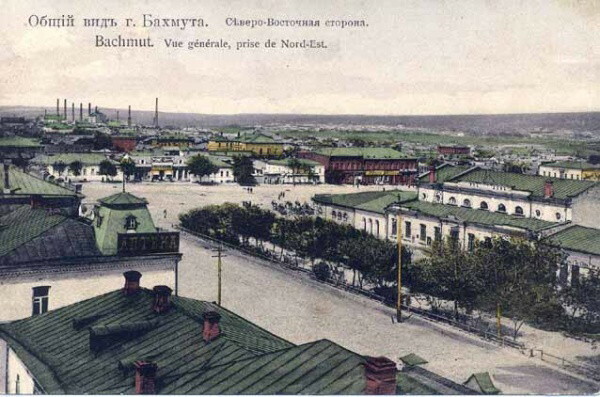 The land around the metal works quickly grew to become an industrial and cultural centre in the region and by the start of the First-World-War the works were the largest in the Russian Empire, producing three-quarters of all Russian iron. Just a few years later the Bolshevik Revolution Reds chased the Hughes family out of Russia but during the Soviet period the steel industry was expanded. In 1924, it was renamed Stalino and It was renamed again in 1961 as Donetsk, the city today remains an important centre for coal mining and the steel industry. I have always been fascinated with the way that in Russia they just rename places on a whim. St Petersburg to Leningrad and back again, Tsaritsyn to Volgograd to Stalingrad and back to Volgograd. The city of Rybinsk, two hundred miles north of Moscow has had nine name changes in the last two hundred years. If we did this sort of thing in the UK then Grantham in Lincolnshire would be Thatcherville and Tredegar in Wales would be Kinnockstown. After bypassing the once great town of Merthyr Tydfil (still the tenth largest in Wales) we entered the second Rhonnda Valley, Rhondda Fach and headed south towards the town of Ferndale where, after missing it the first time, we took a narrow mountain road towards the village of Llanwonno. Now I had been to two Rhonddas this year, Ronda in Andalusia in Spain and now the two Rhondda Valleys in South Wales – three Rhonddas in fact! On the way we stopped several times to look down into the valley below and reflect on mining history of the towns in the valleys of South Wales. One time we stopped near an old spoil heap built dangerously high above the houses below and this was especially significant because we were close now to the fiftieth anniversary of the nearby Aberfan disaster. On October 21st 1966 there was a terrible tragedy in South Wales when after days of heavy rain a primary school was engulfed with waste from a coal tip that had become dangerously unstable and eventually collapsed. As the mountain slipped and the earth roared can you imagine anything so terrifying? I don’t think that I can. Like an earthquake perhaps as buildings are demolished or a volcanic eruption and a stream of deadly lava but instead of molten ash a stream of cold wet coal dust. The slurry slid down Merthyr Mountain behind the village at about nine o’clock just as the school was starting the business of the day, killing one hundred and sixteen children and twenty-eight adults. A whole generation swept away in a matter of seconds. I can remember the day quite clearly because I think it was the first time in my life (I was twelve years old) that such an incident made an impact upon me and I recall watching the television news footage and the terrible despair of the community. I visited the memorial cemetery there in 1973 when I was living in Cardiff. 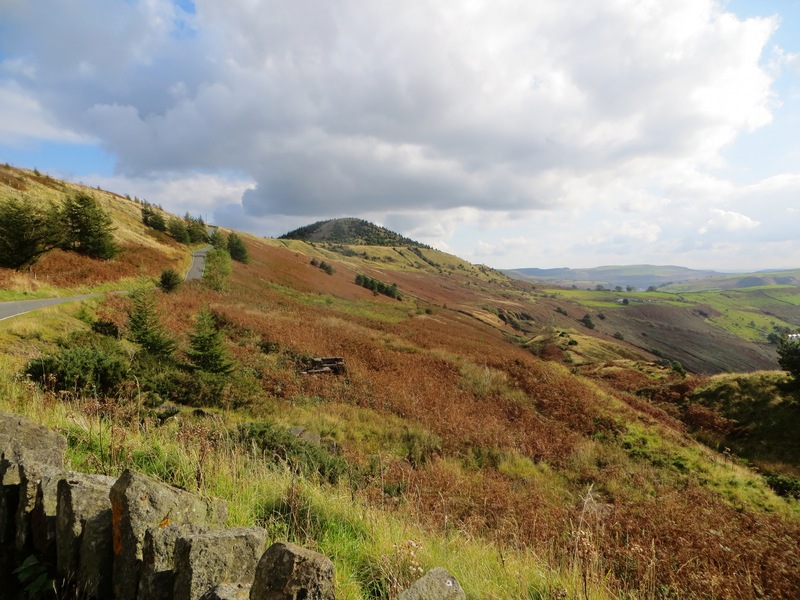 The old slag heaps have been stabilised now and planted over with trees to make them blend in but there is no really easy way to disguise them and even now they can be easily identified by the conical man-made peaks which do not sit so well with the undulating rhythm of the natural environment. 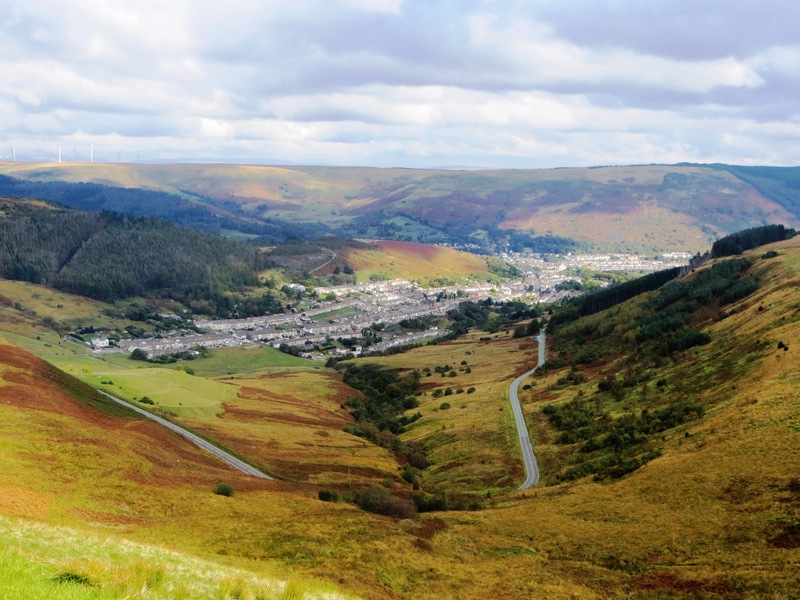 The Rhondda Valleys are punctuated at regular intervals with old mining villages and towns, the pits all gone now of course, for better or for worse, depending upon your point of view and as we drove north we climbed through Treorchy and Treherbert. If Port Talbot is known for actors then Treorchy is sort of famous for footballers being the birthplace of three Welsh internationals, Noel Kinsey, Wayne Jones and Geraint Williams as well as the World Cup referee Clive Thomas. 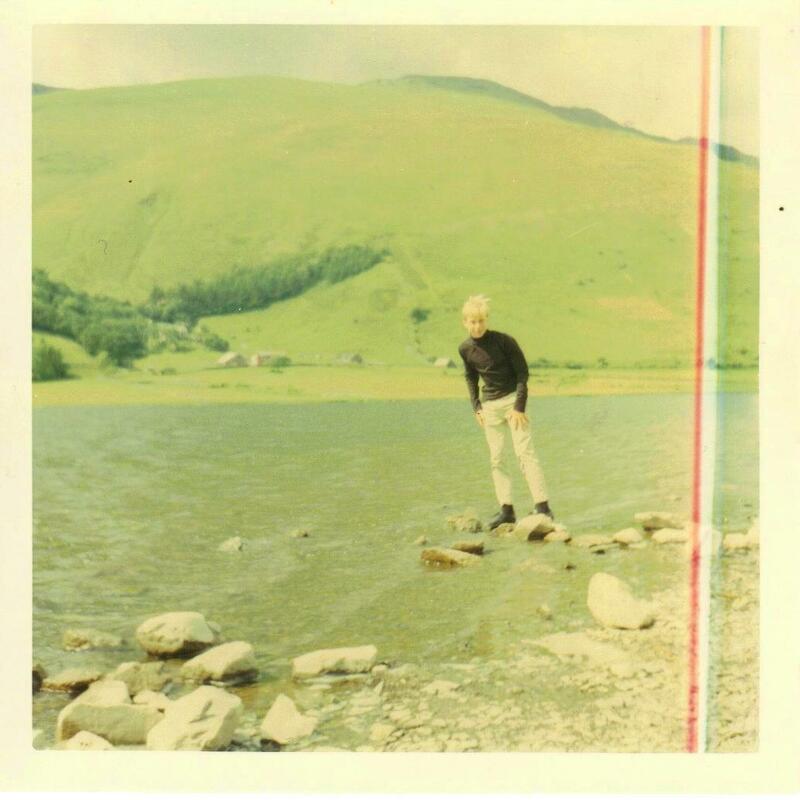 I can’t find evidence of anyone famous who came from Treherbert except my Landlady Vi Elliott from my University years in Cardiff and she was a very fine host. 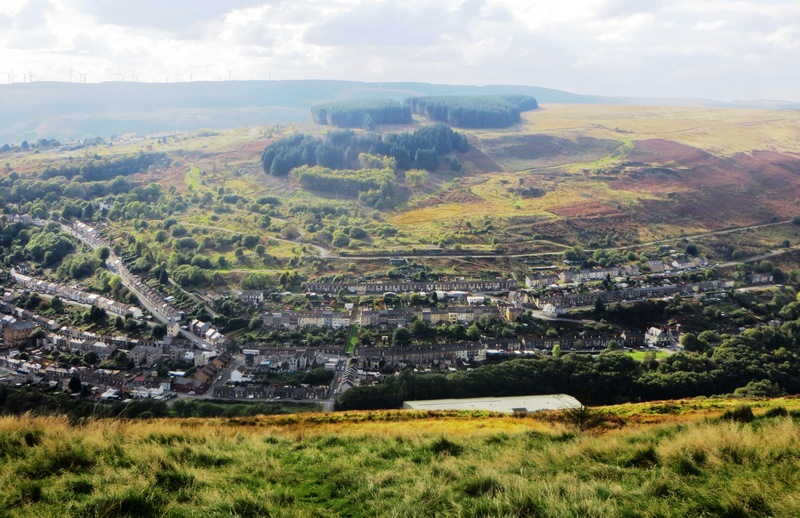 Travelling North, Treherbert is the last of the villages in Rhondda Fawr and shortly out of the town the road eased its way around the top of the valley and provided us with a succession of stopping places where we could pull-up and simply admire the jaw-dropping views. 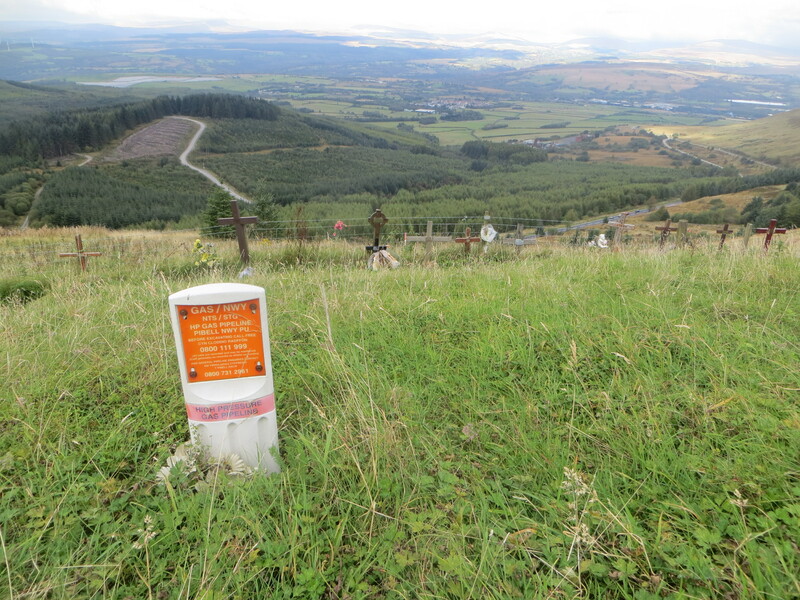 At one stop there was a curious collection of memorial stones and crosses and we finally deduced that it was a sort of do-it-yourself graveyard where people have their ashes buried or spread in a place with an eternal memorable view over the Brecon Beacons. Rather odd I thought. 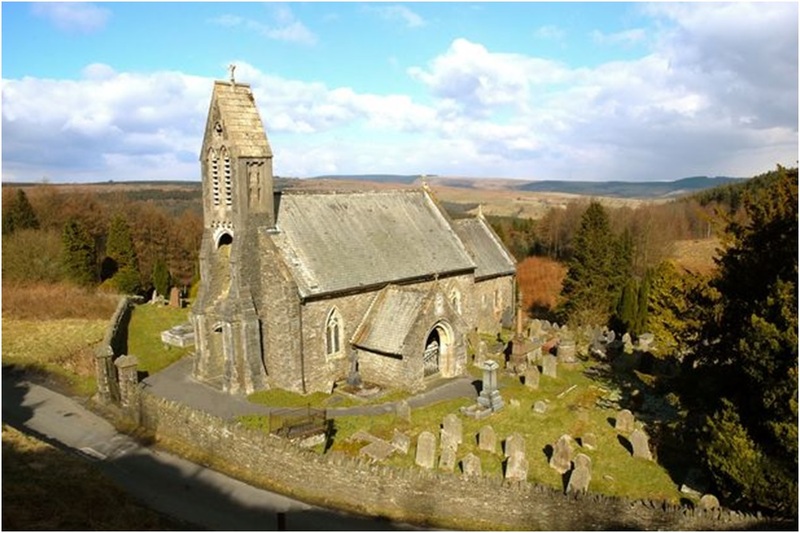 There must be tens of thousands of places in South Wales with equally grand views where people could have their ashes spread, why not find somewhere unique and solitary? I wouldn’t want to spend eternity with a bunch of strangers but for some reason a hundred or so had come together in exactly the same spot next to a high pressure gas pipe line with a functional concrete sign in bright orange that I suppose is there to warn family not to dig too deep or else they may be all prematurely scattered together! From this elevated position it reminded me that only six months previously I had enjoyed equally spectacular views from the top of the gorge at Ronda in Spain. Two Rhonddas in the same year! Leaving the valley we reached the A465 which is a road not just with a number but also a name – The Heads of the Valleys Road, so-called because like a curtain pole it joins together the northern ends (or ‘heads‘) of the South Wales Valleys and now we drove west towards Merthyr Tidfil and to the south of us the valleys were the folds in the drapes. I like roads with names – The Great North Road, The Fosse Way, TheWatling Street, The Cat and Fiddle and the Brian Clough Way, so much more romantic than just a number. During the Industrial Revolution Merthyr Tidfil was the principal town in South Wales, based on the industrial muscle of iron works and coal mining it was far more important than Cardiff, Swansea or Newport and my pal had brought me to tell me a story relating to its industrial heritage. Not quite Merthyr Tidfil as it happens but a nearby village of Vaynor on the edge of the Brecon Beacons and we drove north towards a small village and a country churchyard where there is a grave of a famous industrialist – Robert Thompson Crawshay who was the last owner and manager of the Cyfarthfa Iron works and sometimes called the ‘Iron King of Wales’. During the 1870s there was considerable industrial unrest at Cyfarthfa as steel began to replace iron in value and importance and the business was badly affected by falling demand and prices. Even as standards of living (such as they were, I imagine) collapsed all around Crawshay refused to give way to the demands of the unions and one by one authorised the extinguishing of the furnaces. A fact about foundries is that once an iron smelting furnace has been allowed to go cold there is no way of starting it up again, it is cracked, flawed and useless and as many as five thousand workers lost their jobs and fell into hopeless poverty as a consequence. Anyway, the story goes that just a short time later he died a broken man and on his death-bed, racked with terminal guilt, he uttered his final words “God Forgive Me”. This may or may not be true but what is fact that under a giant slab of granite said to weigh an estimated ten tonnes*, brought all the way from Cornwall in the South West of England lies the body of Robert Thompson Crawshay and inscribed in the stone is a simple inscription which records the name, the years of birth and death and his alleged final words “God Forgive Me”. A churchyard somewhere in Norfolk. Sandals with socks. Not my dad but my Godfather Stan Gardiner and my sister Lindsay. I assume that Dad took the picture. To be honest I am not so keen on visiting graveyards as my friend. I think this is because when I was a boy I remember family holidays where my dad always wanted to visit churches. I believe that this had something to do with the fact that they were free to enter. 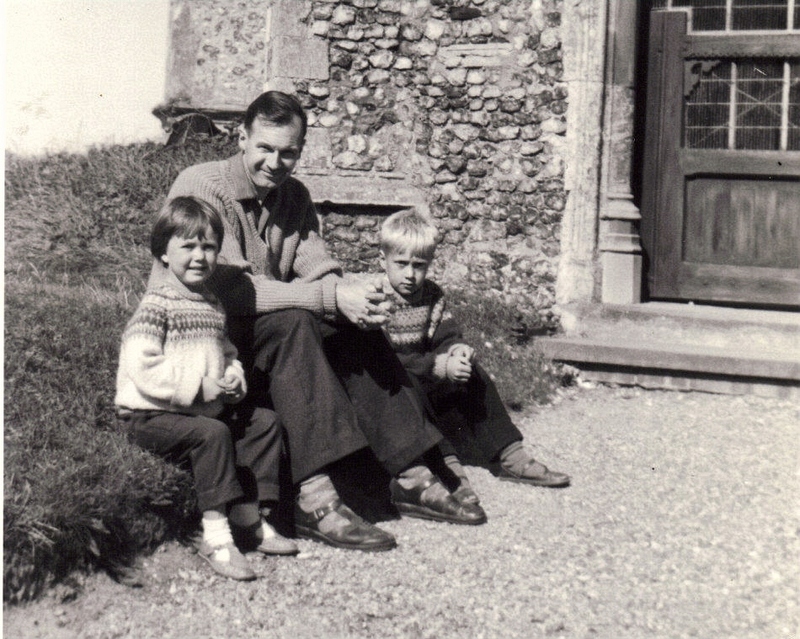 Dad would be disappointed to discover that today you can’t just wander freely into churches anymore because generally they are kept locked as a result of vandalism and theft and if you really want to visit then you have to find the key holder and fill out a five-page application form. It is harder to get into a country church now as a tourist than it is to get NHS treatment! We left Vaynor and headed south now and my companion told me there was one more important place to visit today on our way back to the caravan park. “Is it a churchyard..?”, I demanded to know “…because you know that I don’t like church yards!”. He was suspiciously reticent about answering so I knew instinctively of course that it would be a churchyard! * so unpopular was Crayshaw with the local people who had lost their jobs that it is said to be deliberately so heavy so that his body could not be exhumed and desecrated! After a comfortable night in the caravan and a full English breakfast in the morning I tentatively raised the subject of plans for the day. I hope that he won’t mind me saying but my travelling companion is rather eclectic by nature and I knew that he had a lot of things that he wanted to show me but I was certain that he didn’t really have what you would call a schedule to follow. It was a tough thirty minutes or so putting a sensible itinerary together but this was essential because without a set route we would almost certainly have been driving all around South Wales in a completely ragged and hopelessly disorganised way and contributing thousands of tonnes of CO2 towards global warming. 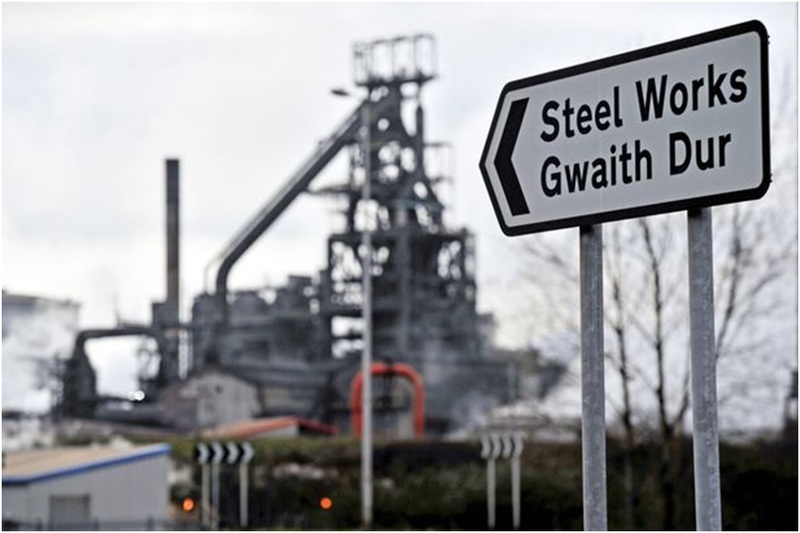 To begin with we drove west towards Swansea because our first destination was Aberavon close to the steel town of Port Talbot and we come now to the question of the Welsh language because as an Englishman I confess that I am seriously confused about the naming of Port Talbot. The Welsh Language Society (Cymdeithas yr Iaith) has spent several years obsessively insisting on using Welsh place names instead of English; for example Cardiff is now Caerdydd*, Swansea is Abertawe and Merthyr Tidfil has amusingly become Merthyr Tudful and this is why I am confused because Port Talbot stubbornly remains Port Talbot, curious because it is named (wash your mouth out) after an English landowning family, the Talbots, who built the port there. Welsh is a noble ancient language but the absurd thing is that Cymdeithas yr Iaith are so opposed to anything remotely English that when there is no equivalent (traditional) Welsh word they just make one up (except for Port Talbot). Last time I identified Tacsi and Ambiwlans, two completely unnecessary new words that have been added to the lexicon of Wales and now I present further evidence such as ffacs (for fax), garag (garage) and compiwter (computer) but driving along today I came upon possibly the best example of all. We drove past the entrance to a GOLF course. The game of golf originated in Scotland and is played all over the World. All over the World it is called GOLF, every country in Western Europe calls it GOLF (check it out if you don’t believe me – Catalan, Basque, Galician) if Scotland had a language it would almost certainly call it GOLF, but in Wales they have decided to call it GOLFF which is surely language revisionism at its most absurd. I laughed so much I almost had to pull over and stop for fear of crashing the car! After some confusion and an unnecessary detour through the town we eventually arrived at the seafront and a stunning three-mile wide beach, perhaps one of the best beaches that you could ever hope to see, magnificent golden honey-comb sand only just separated from a burning blue sky by a foaming white surf, certainly one of the finest that I have ever set foot on and I walked to the shoreline and admired the views that perfectly combined natural and built environment with the Port Talbot steel works to my left and the docks of Swansea to my right, a pair of modern industrial pincers surrounding the idyllic Swansea Bay and the Bristol Channel beyond. … of course my pal hadn’t brought me here to see the beach because there were more important things to tell me about. Film actors! 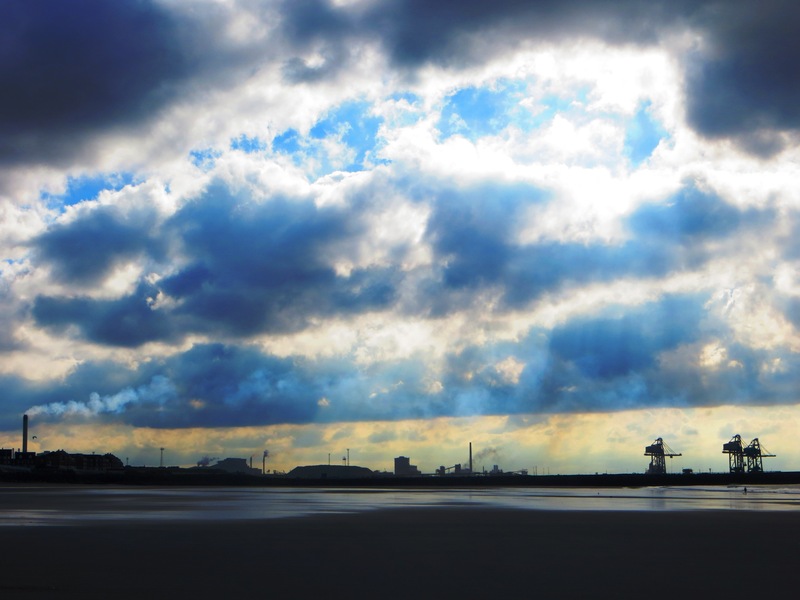 Because Port Talbot is blessed by being either birthplace or nearby birthplace or the home to some of the film industries most famous people. 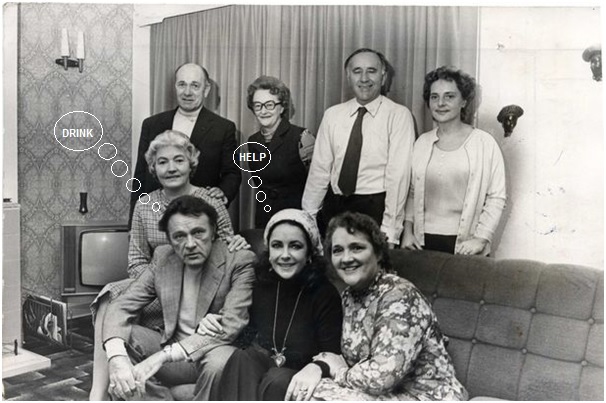 Richard Burton was born in nearby Pontrhydyfen, Anthony Hopkins was born in Margam and Michael Sheen (born in Newport) was bought up in Port Talbot. My friend likes these bits of information and we spoke about our visit to a local man on the promenade. 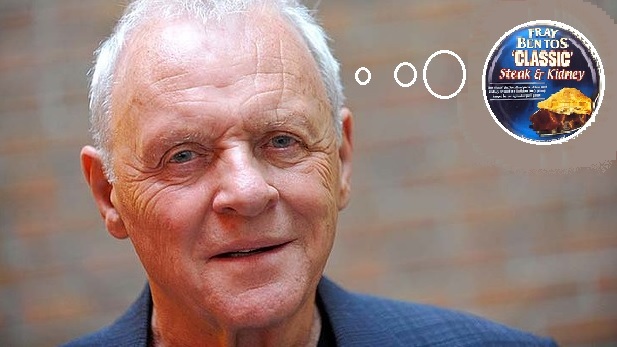 “A shame you weren’t here three days ago”, he said, “Anthony Hopkins was here shopping in the pie shop”. Quite frankly this sounded rather unlikely to me and I thought straight away that it was a little joke at our expense. I did some research when I returned home and it turns out to be entirely true, he was indeed in South Wales just a week before our visit. Nevertheless, call me a sceptic if you like but I somehow doubt that Anthony Hopkins, who lives in Malibu, California and enjoys a life of fine dining experiences, has any sort of fantasies about tucking into a Peter’s Pie! We left Aberavon and Port Talbot and made our way north-east towards the Rhondda Valley stopping on the way at the village of Pontrhydyfen to see the house where Richard Burton was born and the pub The Miners Arms which proudly displays old photographs of the actor on his many visits home including a famous return in 1972 when he took Elizabeth Taylor to meet his family while filming the movie “Under Milk Wood”. It must have been great to be in The Miners Arms the night Burton turned up there. Drinks all round and all of it charged to Richard’s bar bill! I thought about this. Everyone has to come from somewhere, however remote, however grubby, however humble. I guess if I were rich and successful and married to one of the most famous woman in the world I’d probably want to take her back to my home town to meet the folks just as Richard did. After Pontrhydyfen we drove to the Rhondda an area consisting made up of two valleys, those of the larger Rhondda Fawr valley (mawr large) and the smaller Rhondda Fach valley (bach small). We reached Rhondda Fawr and after an argument about the route headed north towards the Brecon Beacons. My route because I was driving! * I wonder if the Welsh Language Society are aware that there are five towns in the USA (in Alabama, California, Illonois, Maryland and Tennessee) called Cardiff and none of them are referred to as Caerdydd. If I were Cymdeithas yr Iaith I would be urgently taking that up with The United States Board on Geographic Names!